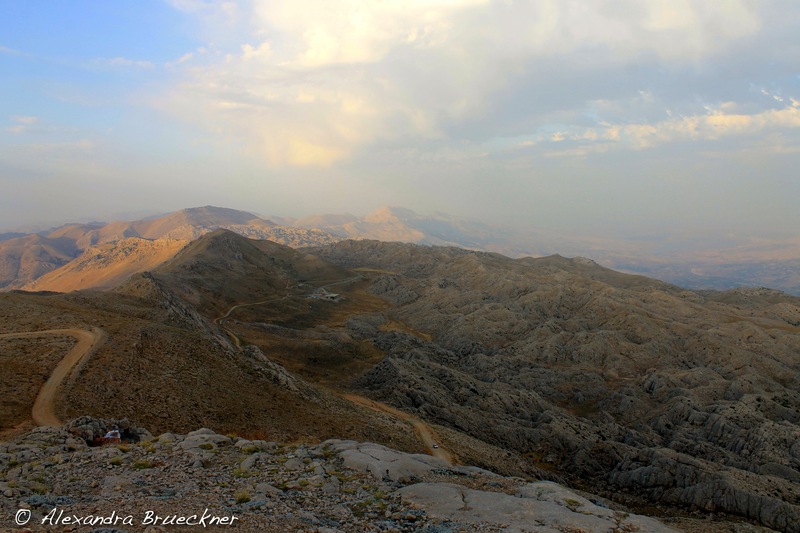 A good day is a day spent on a mountain. Once upon a time, I used my winter vacations to escape to places like Thailand, India, New Zealand, and Nepal; places that, while my own home was buried under snow, enjoyed mild temperatures and dependable sunshine. I should probably be writing about life in Korea at this point, having lived here for four months at this point. And I will, sooner rather than later. Today, though, my head is firmly in the clouds. Or at least the memories I made above them. 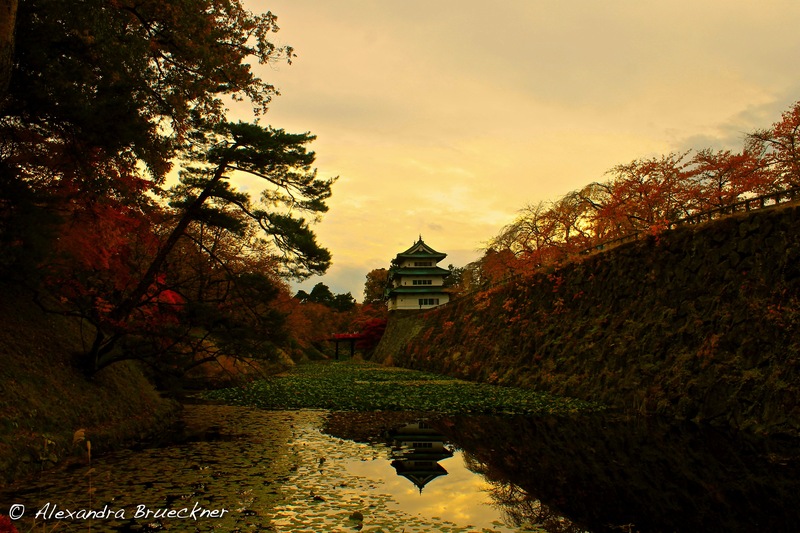 Before I left Japan, there were a few places that I was bound and determined to see. Unkai Terrace in Tomamu in Hokkaido was at the very top of that list. In the winter months, Tomamu is a well-known and popular ski resort, but in the summer, the attraction is all about the clouds. Unkai (雲海) is a nifty Japanese word that translates to “sea of clouds, and it’s a phenomenon best seen from mountaintops, where you’re above the cloud cover. The most famous example of unkai in Japan is most certainly the sunrise view from Mt. Fuji…which I had already sought out and then spectacularly failed at seeing a few years prior. I know that winter doesn’t technically start for another three weeks, but seeing as it’s the first of December today, I started perusing through all the pictures I’d taken in the past few months. My overwhelming reaction: good god, this place is beautiful in the fall.. I’ve always loved autumn. Between the copious amounts of pumpkin (which I maintain that I loved before Starbucks turned pumpkin spice into a total cash cow) and apple foods, the colorful leaves, and the brisk weather, what’s not to love? Living in Aomori has only strengthened that love. To put it lightly, autumn in Aomori spoils the hell out of me. The pristine mountain snow in winter and the cherry blossoms in spring are gorgeous, to be sure, but for me, nothing beats what autumn offers. After more than three years here, I’m convinced that nowhere does autumn more beautifully than northern Japan. And here’s the proof. 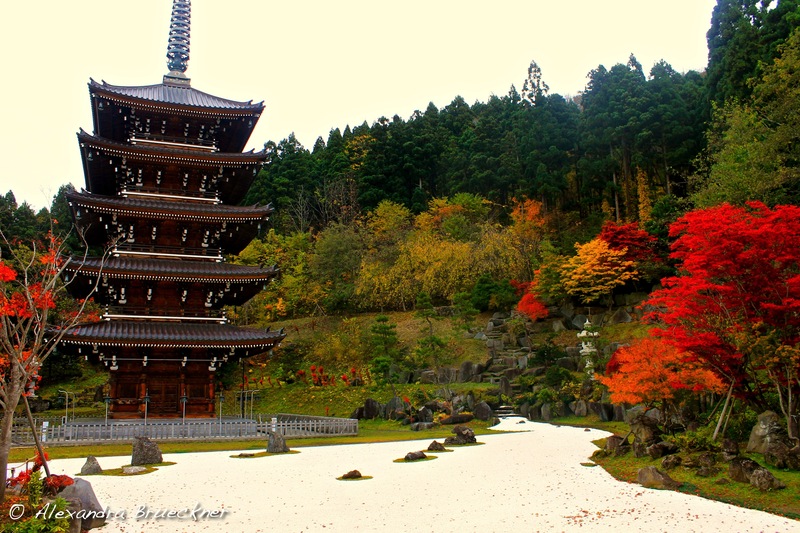 The rock garden and pagoda at Seiryu-ji outside of Aomori-shi. Reds, greens, and golds galore. 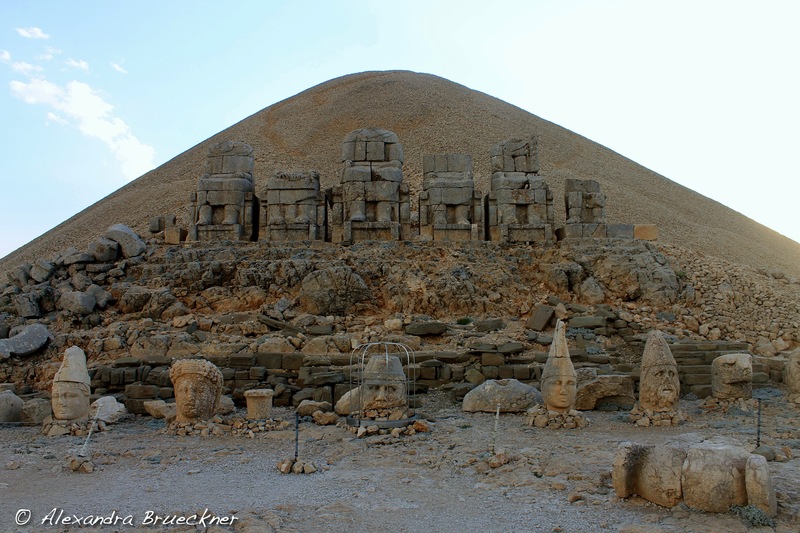 Of all the gorgeous places in Turkey – Pammukale, Cappadocia, Kekova, Istanbul – it’d be pretty easy to skip right over Nemrut Dağı. 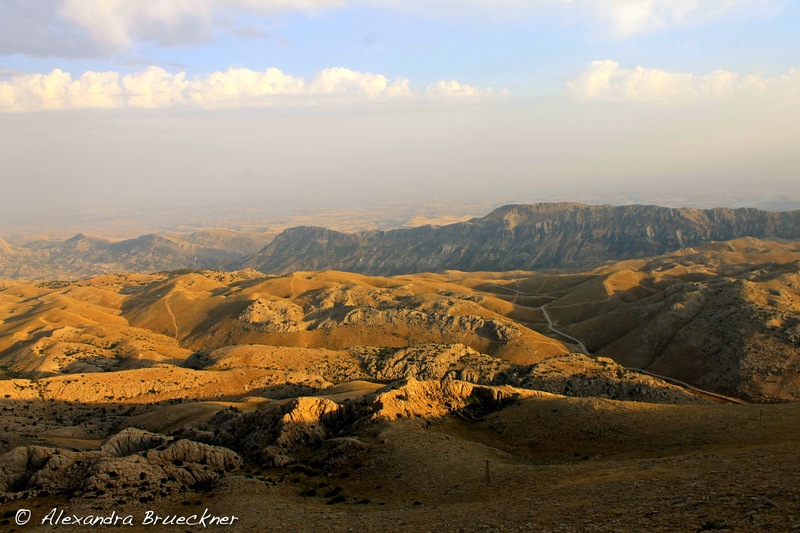 After all, it’s tucked away in the southeastern corner of the country, only a few hundred miles from the Syrian border, far off of the well-traveled circuit of Istanbul, Pammukale, and Antalya. And it’s a world totally different. Where the Mediterranean areas of Turkey are resplendent with brilliant greens and blues, the southeastern parts of the country feature a far more muted palette, one filled with dusty greens, beiges, and greys. 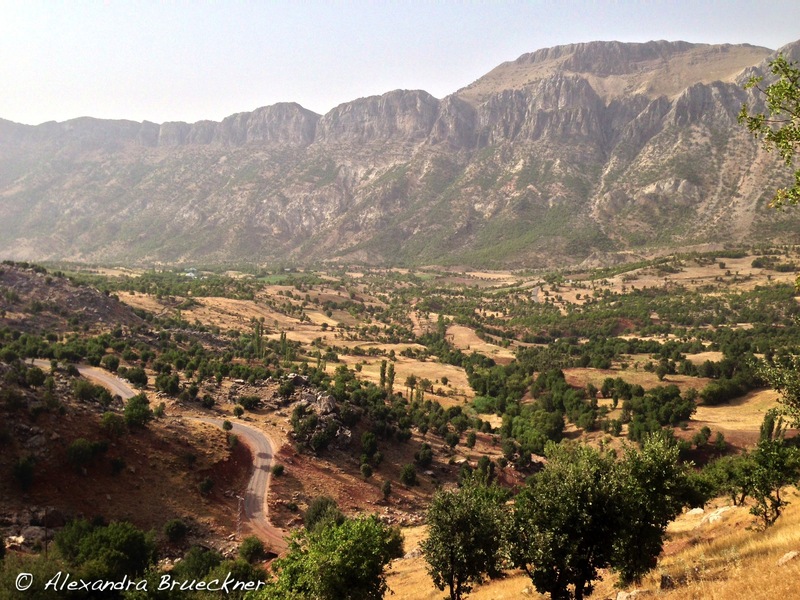 Drive through the southeastern part of Turkey and you’ll have no doubt that you’re properly in the Middle East. The desert heat radiates from the sandy ground, and the horizon is hidden in a muddled, heat-rippled haze. 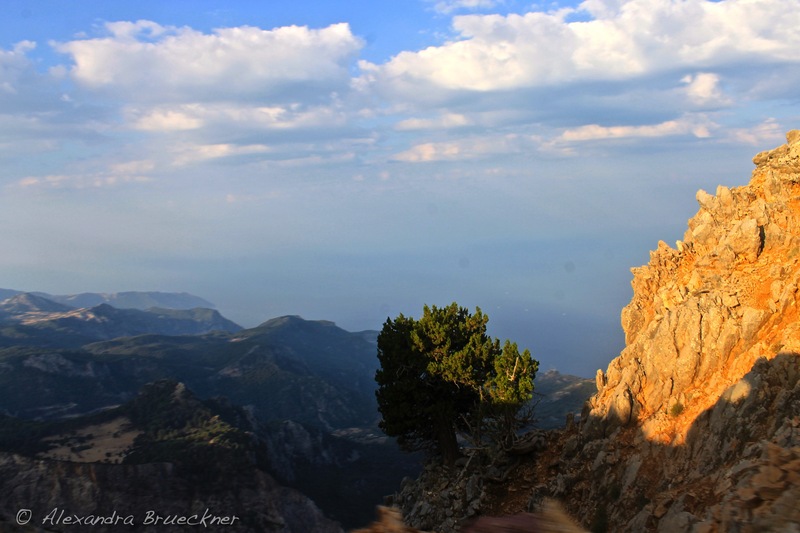 That’s not to say that the area still isn’t beautiful; it’s just a totally different kind of beauty compared to the glittering wares of the Grand Bazaar, the stark white of Pammukale, and the brilliant blues of Kekova. 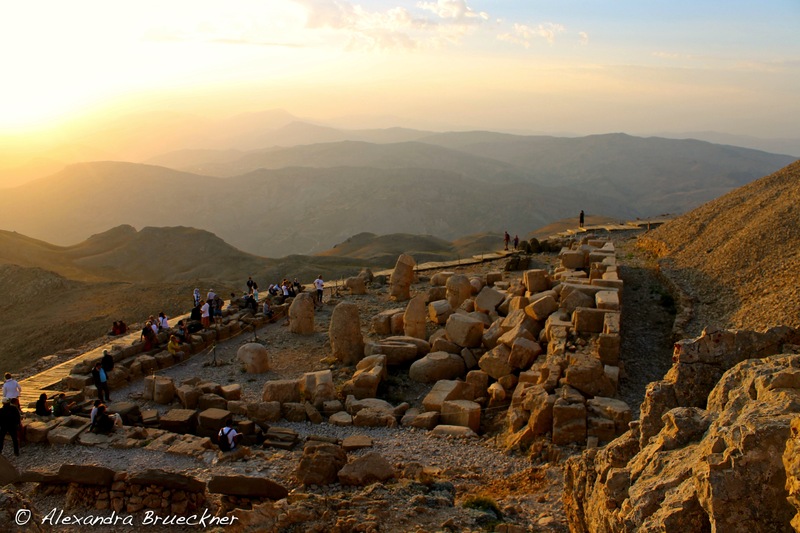 Waiting for the sun to set on Mount Nemrut. The statues and busts on the eastern terrace. 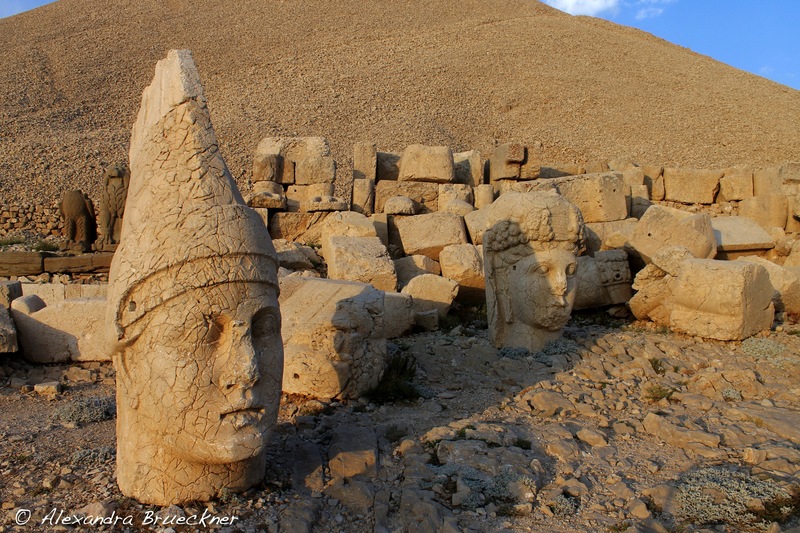 Heads on the western terrace. 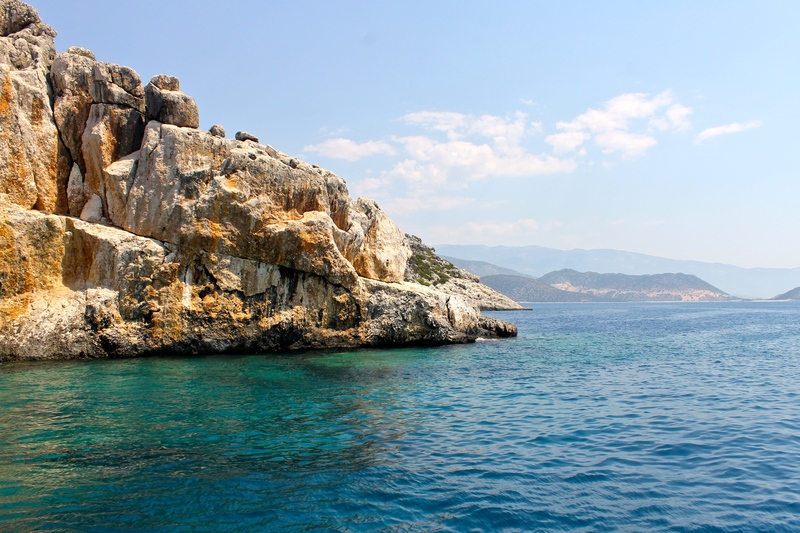 There’s no doubt that the Turquoise Coast was one of the most beautiful places I visited in Turkey. 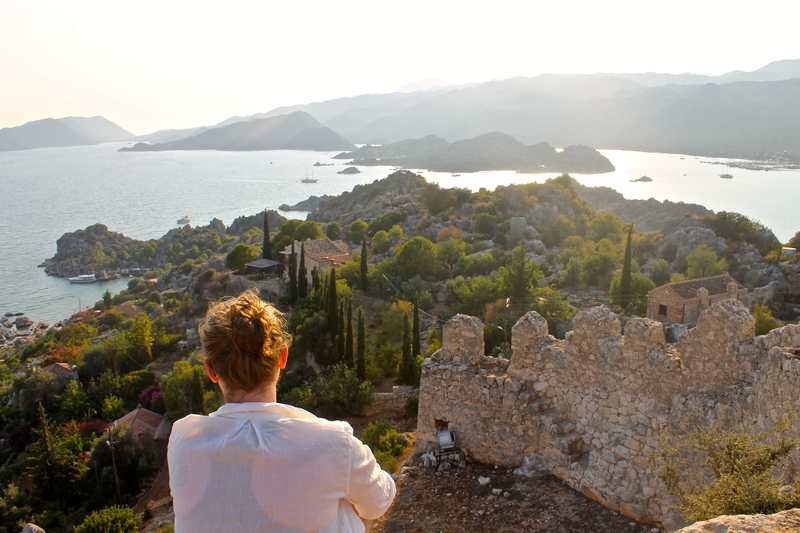 Whether the vantage point was from the deck of a boat, from within the water itself, or from the hilltop ruins of Simena, the Turquoise Coast was drop-dead gorgeous…but in my book, nothing beats a bird’s-eye view. I’m a sucker for heights and the views they provide. Tall buildings and mountains are all well and good…but if I have an opportunity to get literally up in the air, you can bet that I’m going to take it. Ölüdeniz is a pretty photogenic place, what with all that pristine white sand and cerulean water, but the feature photographed the most is definitely the aptly named Blue Lagoon. Sheltered from the open sea by a long, thin spit of land, the lagoon’s tranquil water makes it a popular place for sun-worshippers and swimmers alike. Its picture-perfect quality draws the crowds like no other, though. The glassy water might be serene, but the hoards of splashing swimmers and screeching children aren’t exactly a good complement. 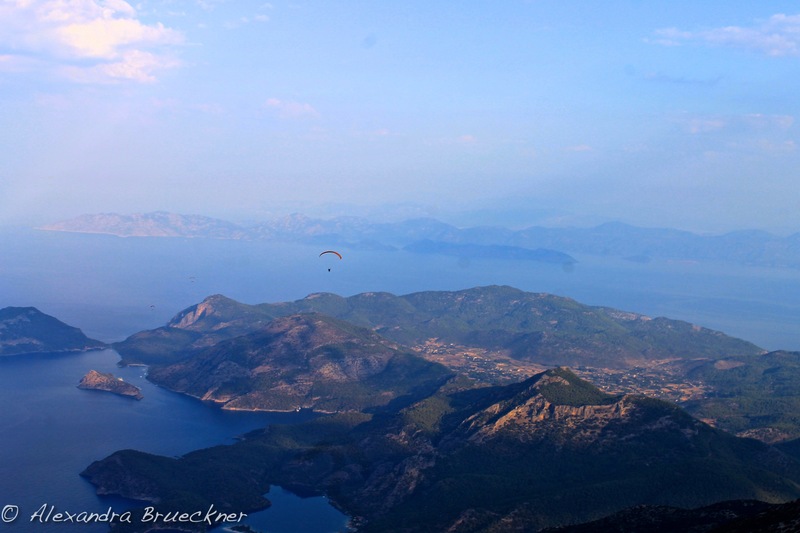 Enter in the other thing that Ölüdeniz is famous for: paragliding. 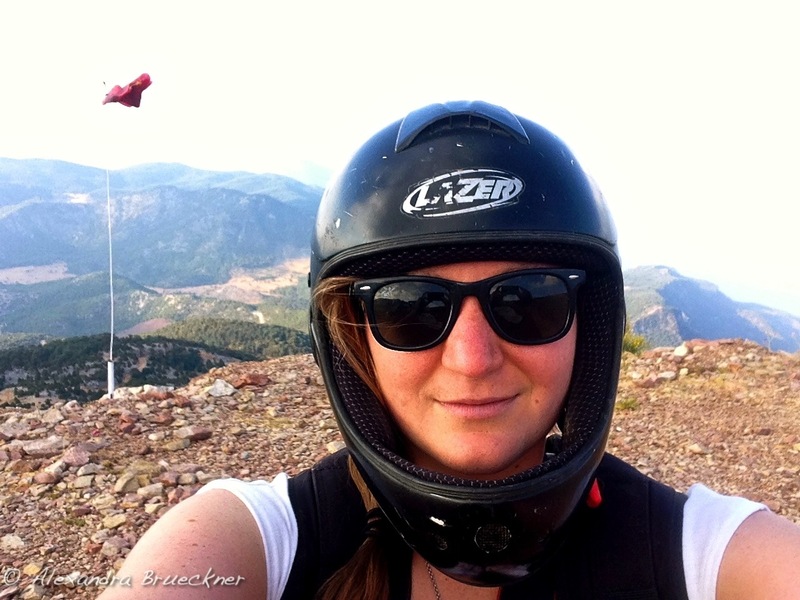 I’d gone paragliding the previous winter in Pokhara in Nepal, and I’d loved every dizzying, euphoric minute of it…so there was never a question in my mind that I’d be getting up in the air again. 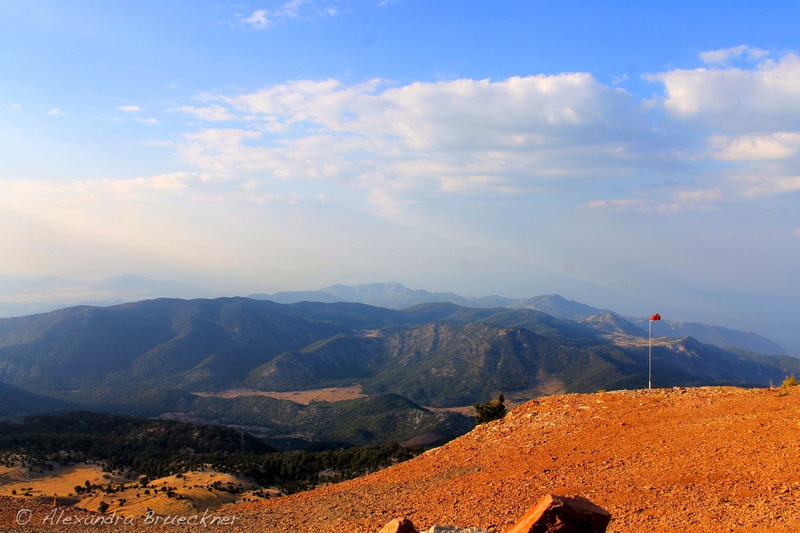 Ölüdeniz’s open skies were calling my name, and I wasn’t about to ignore them. It was a good morning to jump off a mountain. And obviously, I didn’t. 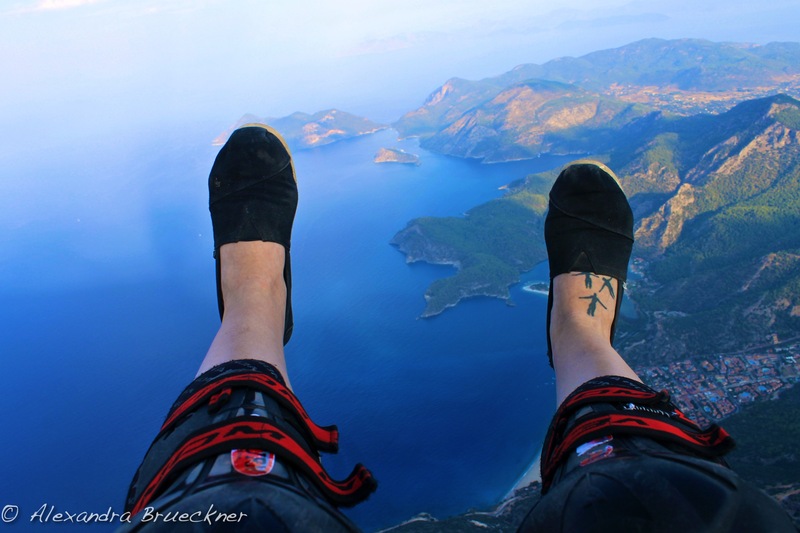 It’s a good thing, too, because I wouldn’t have wanted to kick the bucket without seeing the Turquoise Coast from the air. 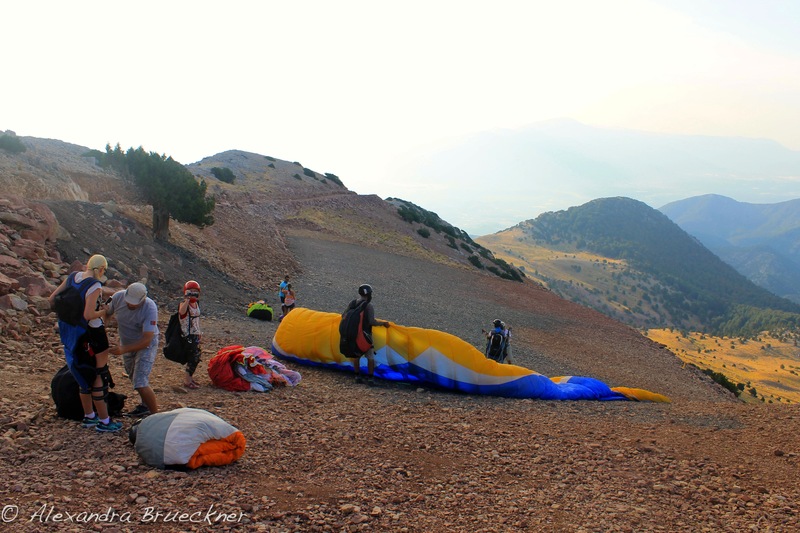 Once my pilot had strapped us into our harness, I was all too happy to run full tilt at the edge of the mountain, all too gleeful to feel the ground drop away from my feet and the wind to catch our chute. 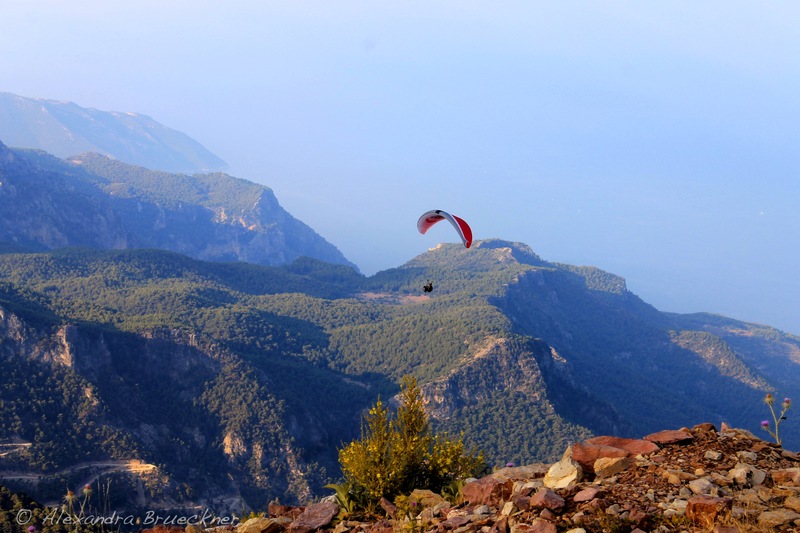 Thanks to a steady updraft of air, paragliders around Ölüdeniz can reach altitudes of just over three thousand (!) meters. Even for me, that’s pretty high. Usually, the skies are full of the wheeling, colorful chutes, but since we had the very first flight of the day, we had the air to ourselves. Flight like that, with nothing but some fabric, ropes, and air keeping you aloft, is one of my favorite feelings in the world. It’s not all serene, though…because what’s the point of flying if you can’t get an adrenaline rush while doing it? When my pilot found out that I’d been paragliding before, he asked if I wanted the “extreme” acrobatic treatment, and I gave one of the most emphatic affirmations of my life. “Extreme” definitely summed up the corkscrews, barrel rolls, and wild, wheeling spins that he whipped us through. The Turquoise Coast, living up to its name. 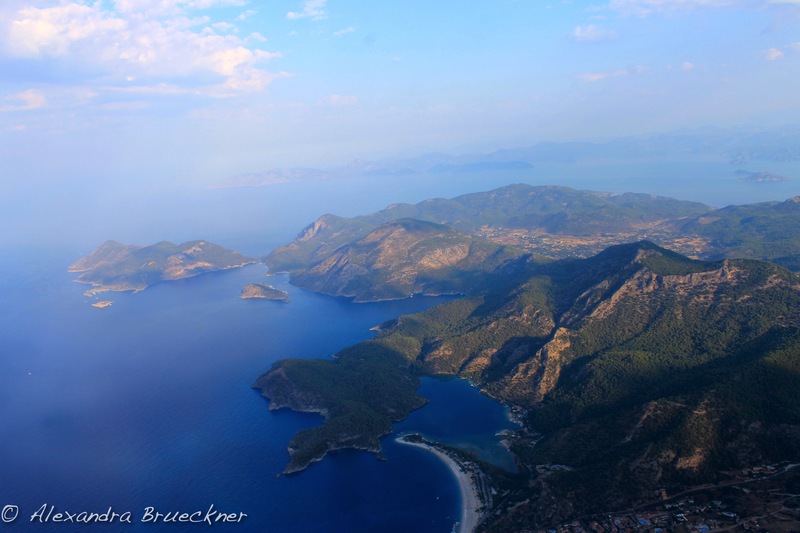 By the time we landed down on Ölüdeniz’ white sand beach, my stomach felt like it had been twisted into a pretzel, and my sense of balance was completely shot. I didn’t much mind that momentary dizziness, though. 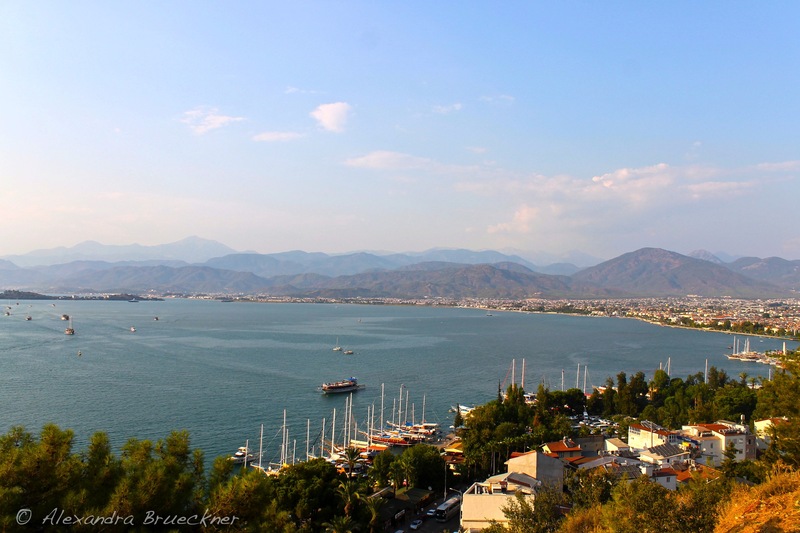 I’d have put up with a thousand pretzel-stomachs and miles of giddy, wobbly steps in exchange for getting a bird’s-eye view of the Turquoise Coast and the Blue Lagoon. It’s a dreary and rainy autumn day in northern Japan. Rain, snow, and even hail has fallen intermittently all day, and the chilly wind and clouds, cinereous and heavy with rain, have only reinforced the fact that winter is coming. And as much as I love the grey, cold weather – perfect for readings piles of books, drinking endless mugs of coffee, and burrowing under my cozy kotatsu – I can’t help but dream of the sunny days and blue waters I saw in Turkey this summer. 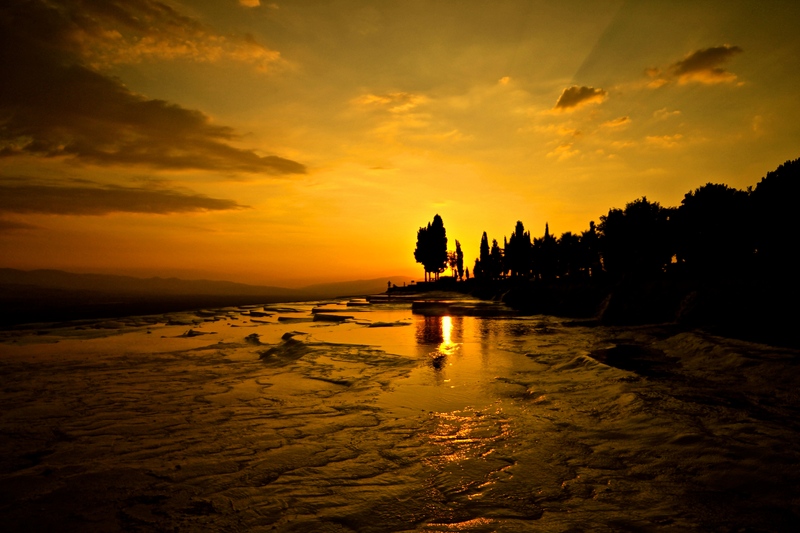 I have seen beautiful places in the world…and then I have seen Pamukkale. I separate those two because Pamukkale, with its stark white travertines and milky blue water, needs to be put in a category all its own. It’s downright otherworldly, one of those places whose beauty is so off-the-wall and unexpected that you think Mother Nature must have been a little tipsy when she dreamed it up. 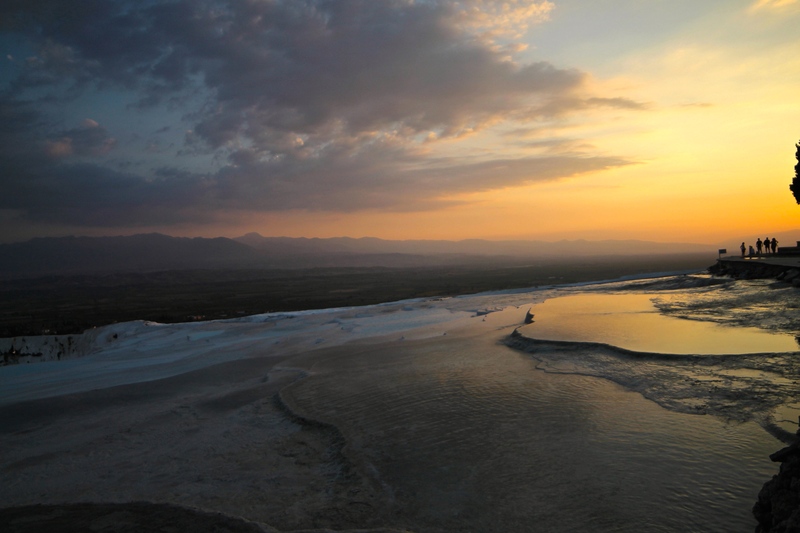 Make no mistake about it; Pamukkale was a place that had been on my bucket list since the day I put it down on paper, and it was one of the things that put Turkey above a few other places for my summer vacation destination of choice. Even though a few months have passed, the views I took in there remain unbelievably beautiful in my mind, undimmed and undiluted. 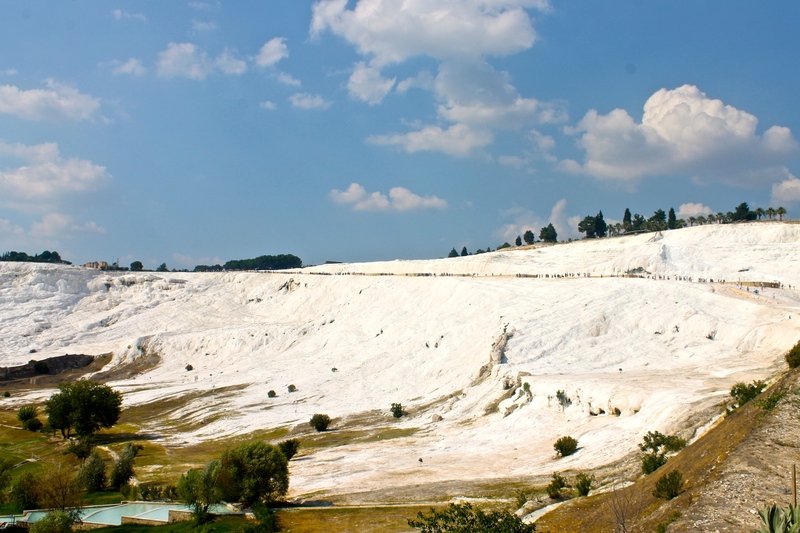 Calcium carbonate deposits have covered the hillside.